At Dental Professionals of Fair Lawn, we understand that the expense of certain dentistry treatments and cosmetic facial procedures can keep many people from pursuing the care they need and/or desire. For this reason, our New Jersey cosmetic dentists partner with reputable third-party healthcare lenders like CareCredit® and ALPHAEON® Credit to offer patients various financing and payment plan choices that can fit almost any budget. If you are interested in financial aid to help cover the cost of a particular dental or aesthetic service we provide, our friendly staff will gladly go over your options and assist you in starting the application process for your desired payment method. Once approval from the lender is received, you will be on your way to obtaining the care you want at a comfortable and feasible price. 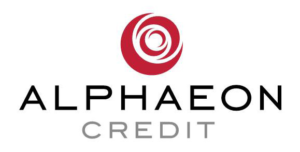 For more information about CareCredit® and ALPHAEON® Credit, we encourage you to view the brief descriptions and follow the links located below. Regarded as one of the most trusted healthcare lending institutions in the U.S., CareCredit® offers a wide span of monthly payment plans with minimal to zero interest rates. There are no upfront fees, and the application process is enhanced to be as simple and streamlined as possible. In the event approval is obtained, the advantages of CareCredit® can be enjoyed immediately, and re-application is not necessary should you decide to finance another procedure through CareCredit® later down the line. As another widely respected healthcare lender, ALPHAEON® Credit offers a variety of payment plan options to help with the cost of aesthetic treatments such as cosmetic injectables and dermal fillers. Key benefits of ALPHAEON® Credit can include special financing for procedures that are $250 and over, credit lines of up to $25,000, and an online application process that provides instant approval for qualified individuals. If you wish to cover the cost of your dental or cosmetic care without financial assistance, our practice also accepts payment in the form of cash, checks, and most major credit cards. For more information, or if you would like to schedule an appointment with one of our experienced dentists, please contact our practice today.